Prairie Highlands Golf Club, already a destination course in Olathe for its links-like feel, is becoming even more attractive as one of the newest members of the GreatLIFE Golf & Fitness group of courses in the Kansas City area. 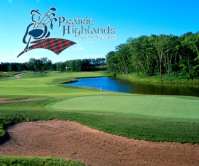 Prairie Highlands became a GreatLIFE course at the start of the year and is in good company in the Classic Plus tier of courses that includes Deer Creek, Falcon Ridge and Hillcrest. All four courses can be played for $179.99 per month, including cart. Classic Plus members can play nine courses in two lower tiers and have access to the four courses in the Legend group. Prairie Highlands, designed by Craig Schreiner, opened in the year 2001 to glowing reviews. Course developers likened Prairie Highlands to course in Scotland because of its mostly open layout, gently undulating terrain and some tall prairie grass. Many streets in the subdivision surrounding the course are named after famed Scottish venues, including St. Andrews. True to the heritage of golf in Scotland, the course was also built for walkers, with short distances between most tees and greens. The front nine is laid out like a links course with only two fairways – 7 and 9 – paralleling each other. The course has four sets of tee boxes to challenge golfers at all levels. The championship tees measure 7,066 yards and play to a 73.8 course rating, but the blue tees measure 6,481 yards, the white 5,770 and the women’s tees 5,122. Hole number 7, the No. 1 handicap hole, is a par 4 well over 400 yards from the black and blue tees while number 9 is a par 5 well over 500 yards from those tees. Water borders both holes. Carts at Prairie Highlands come with GPS devices the mark distances to the front, center and back of the greens and to the pin. They also feature detailed maps of every hole and what lies ahead. Not a course with severe hills, there are few blind shots at Prairie Highlands. But there are some 60 bunkers, some of them out of view and ready to pounce. The traps, suffering from wear and washouts over the years, are scheduled to be rebuilt in the near future and some along fairways may be removed, Hooser said. The greens at Prairie Highlands are putting smoothly and pretty fast this summer after falling into some disrepair last year. Woods borders some of the holes, especially on the back nine. Houses line many of the fairways but are set back far enough to be well out of play on most holes. Prairie Highlands draws most of its play from the surrounding Olathe neighborhoods but is starting to draw players from other areas since its affiliation with GreatLIFE, Hooser said. Prairie Highlands has a clubhouse offering sweeping views of the course from the deck and dining area inside. A separate building has banquet space, used mostly for golf events but sometimes for birthday parties or other social events, Hooser said. The bar/restaurant has Taco Tuesday and Burger Friday, to go along with other menu offerings.